It’s safe to say the recent royal wedding well and truly captured our hearts. We absolutely adored every detail from Meghan and Harry’s nuptials, from that incredible floral arch to the elegant bridal style and personalised cake. 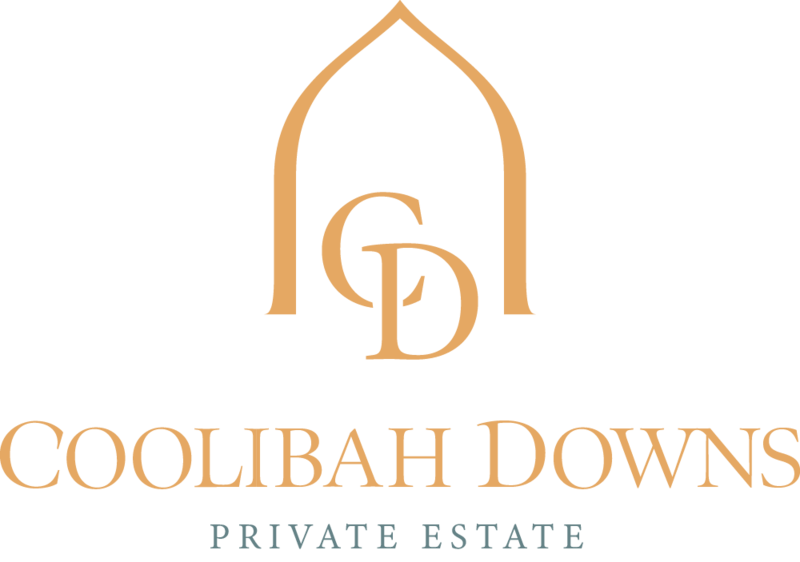 After seeing such a huge reaction to the royal wedding across social media, we wanted to share some Royal Wedding #Inspo from our very own hinterland venue here at Coolibah Downs. We may not be Windsor Castle – but with our sweet stone chapel and lush green gardens, we think our estate is perfectly suited for a royal-inspired setting! If you loved the royal wedding as much as we did and want to incorporate some similar elements into your own big day, keep reading as we share some styling tips to help you recreate this classic look at our picture perfect Gold Coast wedding venue. One of the biggest talking points on social media during the royal wedding was the breathtaking chapel entrance – a seriously lush oversized floral arch filled with greenery and white blooms. Our unique stone ceremony chapel is the perfect traditional setting for couples wanting to create a similar look for their nuptials, with cathedral-style glass windows, classic wooden pews, and sweet garden surroundings. Statement flower installations can really help to set the scene for your ceremony, and the styling possibilities are endless at our chapel. Why not create your very own floral arch entrance just like Meghan and Harry, incorporate greenery into your altar arrangements, or hang garlands from the back of the chapel pews? So while our invitation to the royal wedding reception must have been lost in the mail, we can only imagine that this intimate celebration would be styled impeccably with plenty of stunning details! Draw inspiration from a classic colour palette for a royal-inspired reception – think fresh whites and greens, with accents of gold and dove grey. We're picturing a private marquee reception complete with clothed tables, white tiffany chairs, romantic candlelight, crystal chandeliers, sweet floral centrepieces and soft draping for a truly classic and elegant feel. And for some royal-inspired cocktail hour fun before dinner, why not take advantage of our manicured lawns and prepare a traditional game of croquet or bocce for guests to enjoy? For a true fairytale wedding entrance, we can’t go past a sweet horse and carriage or classic car! Kick your wedding day off in style with a beautiful mode of transport that you’ll remember forever (with the most incredible photos to look back on, too!). We absolutely loved the personal meaning behind Meghan and Harry’s cake – a lemon elderflower sponge made with fresh lemons and elderflower cordial sourced from the Queen’s very own private estate! Why not take a similar approach with your own wedding cake by focusing on fresh, locally sourced ingredients and un-traditional flavours? Think about putting a personal stamp on your wedding cake by choosing flavours that are significant or meaningful to you both – maybe a dessert you shared on your first date, or a family recipe handed down for generations. Let your flavours shine and keep your wedding cake styling minimal with some simple buttercream frosting and fresh flowers! Draw inspiration from Meghan’s simple yet classic bridal look with a long sleeved boat-neck gown (perfect for a winter wedding! ), elegant low bun, delicate earrings and fresh, minimal makeup to show off your natural features. Complete the royal bridal look with a statement veil and a sweet tribe of flower girls for some serious cute factor! 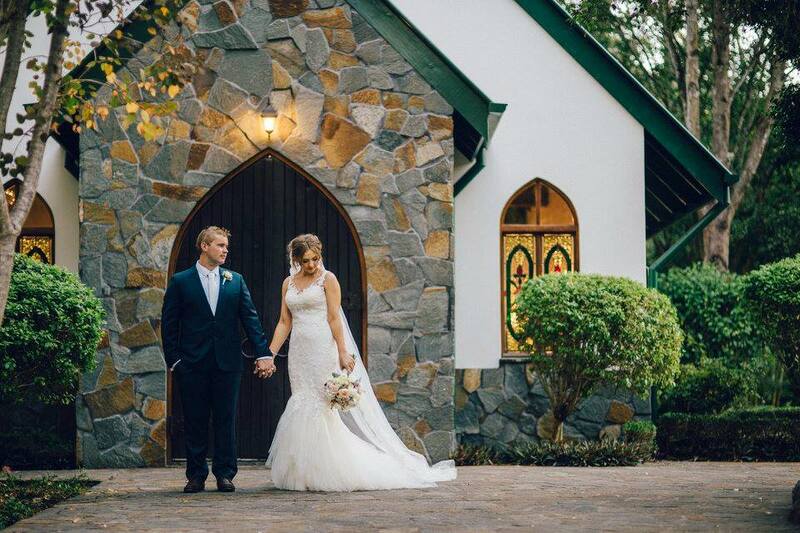 From our picturesque stone chapel to our elegant marquee and garden surroundings, we’d have to say Coolibah Downs is the perfect hinterland wedding venue for your very own royal-inspired celebration right here on the Gold Coast. If you’re currently looking for the perfect ceremony and reception venue, get in touch with our professional wedding team to book in for a bridal appointment to see our space in person. Or, download our wedding packages for more details about our stunning private estate!